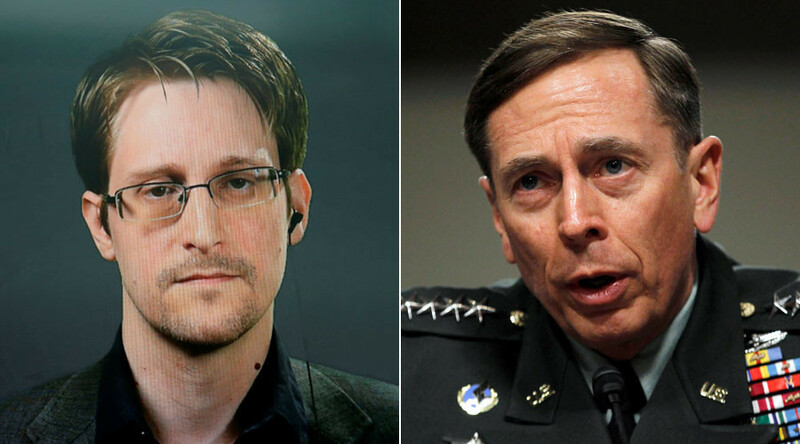 Whistleblower Edward Snowden is surprised at the leniency shown to CIA Director General David Petraeus, who is in the running for Secretary of State. He “shared information that was far more highly classified than I ever did,” he told Yahoo Global News. By Snowden’s account, Petraeus – who shared top secret military information with his lover and biographer – should have gotten far less leniency, especially given that he was doing it for personal benefit. Nonetheless, it is Snowden who is being pursued under the Espionage Act on multiple felonies, including violations of the Act and theft of government property – and forced to live out his life in exile in Moscow. Petraeus, by contrast, never “spent a single day in jail,” Snowden told Katie Couric in an exclusive interview. 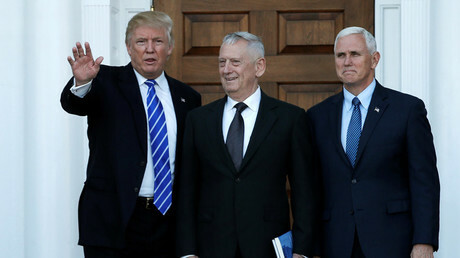 The interview in Moscow comes as the disgraced former CIA Director finds himself in the running for US President-elect Donald Trump’s cabinet as Secretary of State – making him the latest in a series of what many Americans consider to be disappointing cabinet picks. Petraeus only got two years’ probation and a $100,000 fine, after pleading guilty to sharing the contents of a certain black book with his biographer and lover, Paula Bradwell. The book contained so-called “code words” documents, including vital information like the identities of CIA cover operatives and notes from National Security Council briefings. Petraeus’ plea alleges that he retrieved the information from Bradwell three days after giving her the black book. Court documents indicate that Bradwell – who was never charged – did not use any information contained in it. Petraeus got away with a slap on the wrist, as he admitted to making “a false statement” to the FBI regarding the disclosure of the book to Bradwell. The whistleblower did not stop at Petraeus when discussing the failings of the US justice system. 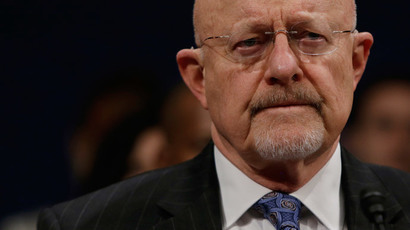 Another name that came up was Director of National Intelligence James Clapper, who in March 2013 appeared before Congress and gave false testimony regarding the NSA’s surveillance activities. Clapper was never indicted for what was very clearly perjury. Snowden has all the while maintained that he would be willing to face a just and open trial if given the opportunity – but no such provision exists under the Espionage Act. 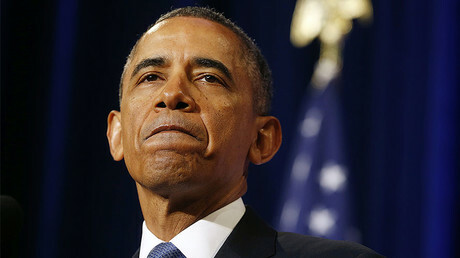 US President Barack Obama was recently sent a letter by former members of the Church Committee, which carried out a congressional inquiry into the CIA’s illegal activities during the 1960s and 70s. In it, they strongly argue for a pardon for Snowden. “It was Snowden who supplied journalists with evidence that our government had, for many years, been collecting information about the domestic phone calls of millions of Americans,” and in so doing inspired a much-needed national debate.